Bear Traps examines Russia’s longer term economic growth prospects. It argues that Russia’s growth challenges are conventionally misdiagnosed and examines the reasons why: a spatial misallocation that imposes excess costs on production and investment; distortions to human capital; an excessively high relative price of investment that serves as a tax on physical capital accumulation; and an economic mechanism that inhibits adjustments that would correct the misallocation. 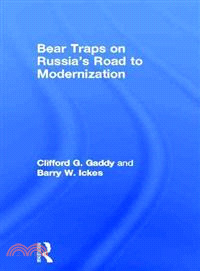 Bear Traps explains why Soviet legacies still constrain economic growth and outlines a feasible policy path that could remove these obstacles. The most popular proposals for Russian economic reform today — diversification, innovation, modernization — are misguided. They are based on a faulty diagnosis of the country’s ills, because they ignore a simple reality: Russia’s capital, both physical and human, is systematically overvalued, owing to a failure to account for the handicap imposed by geography and location. Part of the handicap is an unavoidable consequence of Russia’s size and cold climate. But another part is self-inflicted. Soviet policies placed far too much economic activity in cold, remote locations. Specific institutions in today’s Russia, notably its federalist structure, help preserve the Soviet spatial legacy. As a result, capital remains handicapped. Investments made to compensate for the handicaps of cold and distance should properly be treated as costs. Instead, they are considered net additions to capital. When returns to what appear to be large quantities of physical and human capital fail to satisfy expectations, the blame naturally goes to poor institutions, corruption, backward technology, and so on. Policy proceeds along the wrong path, with costly programs that can end up doing more damage than good. The authors insist that the goal should be to seek to remove the handicaps rather than to spend to compensate for them. They discuss how Russia could develop a modernization program that would let the nation finally focus on its economic advantages, not its handicaps. Clifford G. Gaddy is Senior Fellow, Foreign Policy, Global Economy and Development in the Center on the United States and Europe at the Brookings Institution, USA. Barry Ickes is Professor in the Department of Economics at Pennsylvania State University, USA.